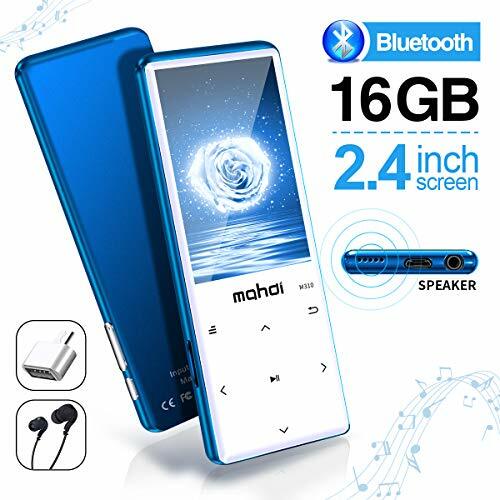 The MYMAHDI MP3 Player is a 16GB lossless music player with Bluetooth support, which can accept an additional 128GB memory card to allow for additional storage. This player is perfect for budget-conscious seniors who are looking for a high-quality player with a built-in radio. 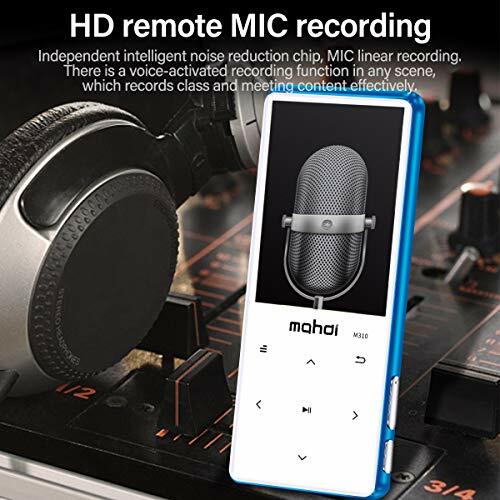 It is slim and compact, and all of the key controls are at your fingertips, so you can start, stop, skip and rewind songs with ease. The clear screen lets you browse your music library easily too. I chose this one for seniors who are familiar with MP3 players and want a more cool looking design. The screen is larger (taller) than most of the others. The button print is small but easy to see because of the contrast of black print on white buttons. 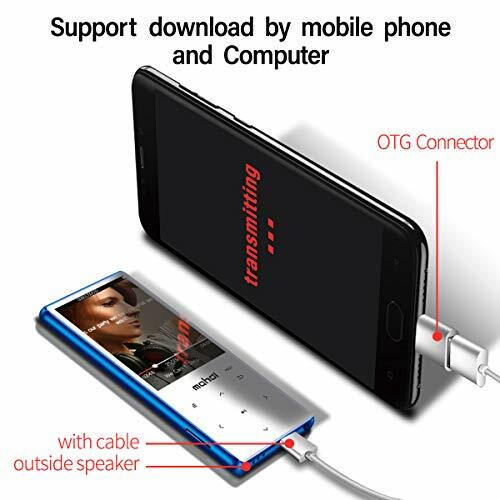 The player can be used with most file formats, including OGG and FLAC for those who are true audiophiles and can also play back some videos, as well as open ebooks. 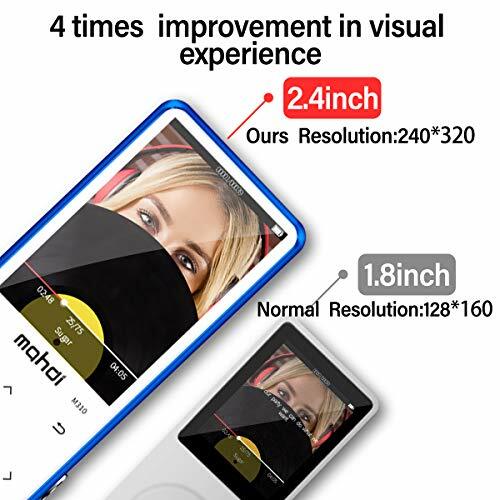 The 2.4-inch screen is clear and the menu options are easy to read, however, seniors may find that the screen feels a little small when it comes to extended viewing such as watching a video. The battery life is quite impressive, with up to 60 hours of playback time for audio files if you use headphones. 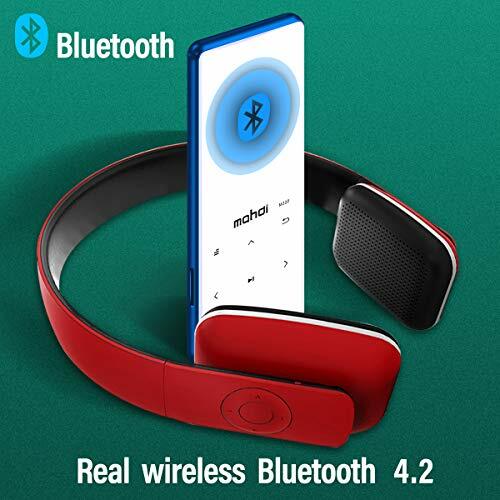 The blue backlight allows people to operate the device at night, and the built-in radio will appeal to those who still have a favorite FM station that they enjoy listening to. This MP3 player is a traditional and cooler looking option for seniors. The screen is large, bright, and easy to read. The buttons are small, however they are pretty easy to read because of the contrasting print.